You may be looking to get speedometer restoration for any number of reasons. Your speedometer gauge may not be functioning properly or getting stuck every other minute, your tachometer gauge may need rebuilding, your oil gauge may be giving you a wrong reading, or your temperature gauge may be working intermittently. There are endless other issues you may be experiencing with that dang instrument cluster in your vehicle! 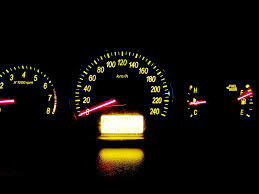 Whatever the issue you are facing, you can get speedometer restoration at the company Safety Restore. Safety Restore specializes in restoring SRS airbag modules back to their factory condition. That means any and all gauge-related issues will be dealt with and fixed and every button will work the way it was intended to. After getting cluster repair, you won’t have to face any more faulty gauges that work intermittently, get stuck every other minute, or simply don’t work. With Safety Restore you can trust that you will be left with the results you need. The company is trustworthy in their quality and prices. Their instrument panel cluster repair comes in at only $118.99, which can save you up to $600 compared to buying a new one at the dealer! On top of that, the company guarantees all their customers a lifetime warranty on their services. Though the pricing is affordable, Safety Restore does not skimp out on quality. The company employs only highly trained engineers to perform the speedometer repairs and ensures that they use industry standard tools and 100% OEM parts to do so. Furthermore, FMVSS standards are always met or exceeded. The company welcomes customers from all throughout the country and works with a wide variety of makes and models. So why not put an end to all your cluster problems once and for all. Get your speedometer restoration at Safety Restore today!